Google Chrome is a is a free web browser software, it's designed to be simple and stylish, develop by Google, which they claim as The fast, free browser that's built for the modern web. An interesting option in addition to Mozilla Firefox, Internet Explorer, Safari, and even the Opera web browser. Select your download package 32/64 bit .deb (For Debian/Ubuntu). in this case i download 64 bit version (google-chrome-stable_current_amd64.deb) and save it to Download folder. 2. 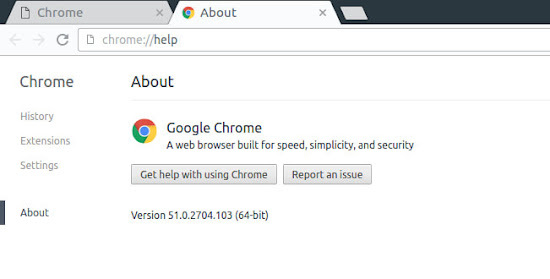 Install Latest Stable Google Chrome. right click on google-chrome-stable_current_amd64.deb then "Open With Software Install"
easy way to remove Google Chrome from your Ubuntu by using Synaptic Package Manager. 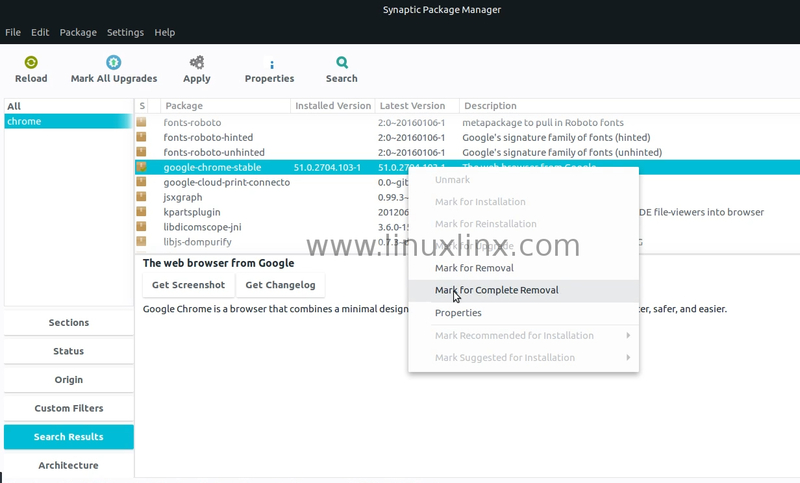 - Open your Synaptic Package Manager from Application --> System Tool --> Synaptic Package Manager. - Search for Chrome, Click search and type "Chrome" (without quote). - right click on google-chrome-stable choose Mark for Removal or Mark for Complete Removal to complete remove Google Chrome from your Ubuntu or Linux Mint machine. That's all!, how to install and remove latest stable google chrome browser on Ubuntu, Linux Mint and Ubuntu derivatives. I hope this could help.